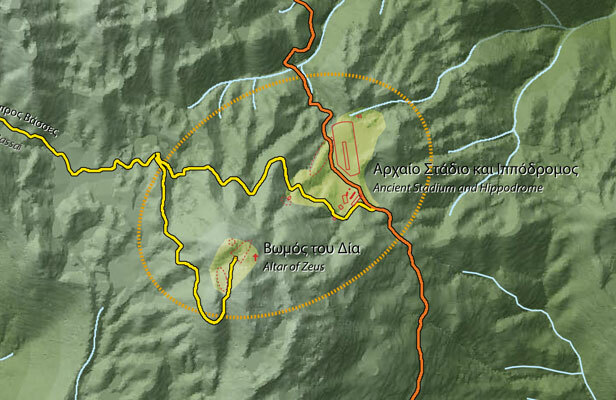 In the ancient Greek region of Arcadia in the southern Peloponnesos, the sanctuary of Zeus on Mt. Lykaion stands out for its great fame, mysterious rituals and wide-ranging significance. This site held fascination for the ancient Greeks and has continued to be important for modern-day scholars of archaeology, classics, and Greek religion. In 1996 Dr. David Gilman Romano of the University of Pennsylvania Museum conducted an important architectural and topographical survey at the site. Following a two year preliminary planning phase of cleaning and survey in 2004-2005, a research team from the University of Pennsylvania Museum of Archaeology and Anthropology and the University of Arizona, in collaboration with the Thirty-Ninth Ephorate of Classical and Prehistoric Antiquities, began a four-year excavation program in June 2006.